The Holy Spirit Conference is still going on! Yesterday morning the Holy Spirit Conference began in full swing. If you missed it, we still have tonight and tomorrow night if you would like to join us. 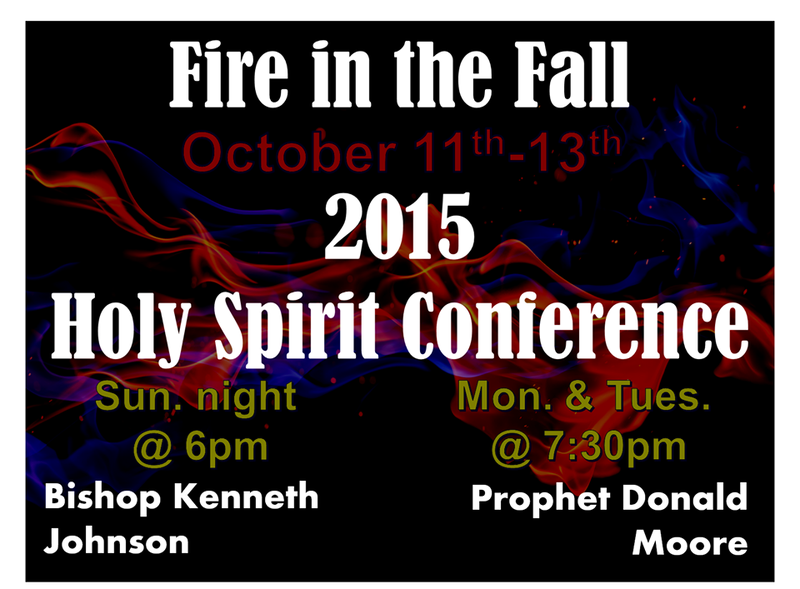 Both Bishop Kenneth Johnson and Prophet Donald Moore have both spoke, and let me tell you… they are GREAT speakers! If you have not had a chance to hear them, then you want to attend the remaining days of the Holy Spirit Conference. I guarantee you will be blessed! Come one, come all, and bring a friend. See you there!